Cherry Mobile Cosmos S2 is now official at Php 9,999. 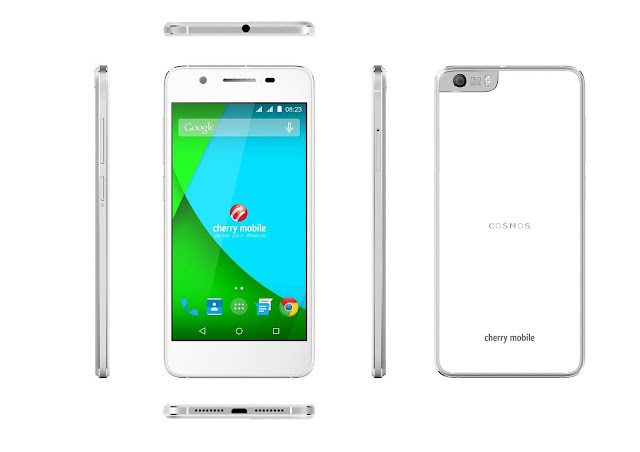 The handset is set to hit Cherry Mobile store this week. What makes this handset different? Check it out. Cherry Mobile Cosmos S2 is pegged to hit primetime this week. The handset boasts a number of sought-after features on its cap like the dual LTE connectivity and the 64-bit octa-core processor. So what makes this handset different from the devices the local company has released in the past? The handset is ideally the company's move to take on several international brands that released bang-in-the-buck handsets under Php 10K. The Cherry Mobile Cosmos S2 is, as the name suggests, the successor to the popular Cosmos S released a few years back with 1.5GHz quad-core CPU, Andoid Jelly Bean and 1GB of RAM. Now, the local company has bumped up most of the features for the latest Cosmos handset. The front panel of this handheld is defined by the 5-inch AMOLED HD display with 294 ppi pixel density. Under the hood, there's the Snapdragon 615 which is a 64-bit offering that carries an octa-core CPU clocked at 1.5GHz speed. The chipset also includes the Adreno 405 and 2GB of RAM. Likewise, in terms of camera, the Cherry Mobile Cosmos S2 packs the 13MP snapper with BSI sensor and 8MP selfie camera. Across the board, the Cherry Mobile Cosmos S2's media files will be treated with 16GB native storage which is expandable up to 64GB via microSD slot. On the software-front, the handset comes with Android 5.0.2 on the get-go together with several Cherry Mobile software features. The Cherry Mobile Cosmos S2 packs 2260 mAh battery with Quick Charge feature. It will hit the shelves this week at Php 9,999.